In the year 1899, the conflict between the Boers of South Africa and the British Empire turned to war. 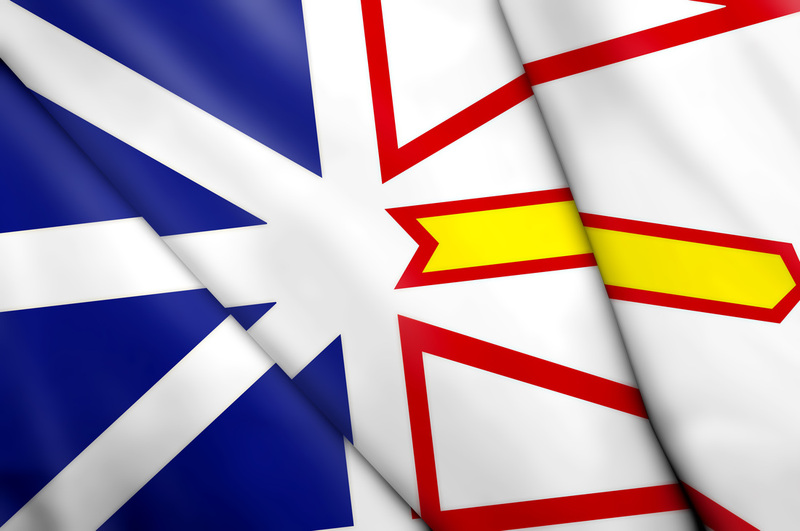 Newfoundland, Great Britain’s oldest colony, was 402 years old. The drafts, from a population of 220,000, went off to the war. In 1900, IODE was founded and women in St. John’s supported the war effort by knitting and sewing articles and comforts and forwarding them to Mrs. Margaret Polson Murray, the founder of IODE. In March 1910, the IODE National Office entered into correspondence with these ladies in St. John’s with a view to organizing IODE in Newfoundland. Four executive members from the National Office, name Miss Merritt, Organizing Secretary Mrs. Anderson, Mrs. Young and Miss Hughes traveled to St. John’s. Each one addressed the group of ladies and gentlemen. Their vivid and patriotic outline of the high aims of IODE was so passionate, it was decided unanimously to form the National Chapter of Newfoundland, Imperial Order Daughters of the Empire with the intention of forming chapters in communities across the Island. The President was Lady Horwood, wife of the Chief Justice. Raising funds and exploring possible projects occupied the chapter’s first year. The needs for children were great, and the major health concern was tuberculosis. In 1911, the 28 members agreed their first project was treatment of incipient cases of the illness. No help could be obtained from the government. Dr. Cluny MacPherson, husband of the secretary, gave land for a building and Drs. Randell and Sculley and Nurse Ella Campbell gave free medical services. Sir William Reid also helped and treating tuberculosis became a reality. The work of the Daughters of the Empire Summer Camp proved to be so brilliant, that an unbelieving government was convinced to build a sanatorium. The chapter contributed significantly to improving Island life, but in 1930 the National Chapter of Newfoundland disbanded. In 1949 under the leadership of Joseph R. Smallwood, Britain’s oldest colony became the 10th province of Canada. In 1950, the former Dorothy Stratly of Barrie, Ontario, who was now married to Sir Leonard Outerbridge, took the initial steps to have IODE established in the Province of Newfoundland. The charter, signed by National President A. Estelle McCurdy and National Secretary Mary Spragge on the 27th day of May 1950, declared the Beothic Chapter of St. John’s a primary chapter. The name honoured the native Indians resident on the Island. More chapters followed. Caribou, named for the wild animal used by the natives for food and clothing was formed in 1951. In 1955 Old Colony, as Newfoundlanders affectionately called the Island, was chartered. Two chapters were formed in 1958: Caledonia, located in Gander, was named in honour of the flying boat that made the first east-west commercial experimental flight from Botwood across North America in 1937, and Sir Humphrey Gilbert to recognize the explorer who sailed from Plymouth, England on June 11, 1583 with five ships and the blessing of Queen Elizabeth I, to discover the North-East Passage. It is interesting to note that on August 3rd he arrived off present-day St. John’s and the site was selected as the centre of his operations. The spot where he landed is today the site of the National War Memorial. In 1964, two more chapters were formed in St. John’s: Sir Wilfred Grenfell, named for the medical missionary who settled in St. Anthony with a goal of educating and treating tuberculosis at a hospital he built, and Cormack, named for William Eppes Cormack, a native of St. John’s who walked across the Island exploring. Shawnadithit Chapter, formed in 1982, bears the name of the last Beothic female found on the Island. The Provincial Chapter of Newfoundland received its charter in May, 1982. Queen Elizabeth II visited Corner Brook in 1984. When a chapter was formed there that year, members deemed Elizabethan a suitable name. The most recent chapter is Father of Confederation, chartered in 1987 in Conception Bay South. The name respects the history of Joseph R. Smallwood, born the same year IODE was founded. Despite having suffered a major stroke, the former Premier attended the bestowal ceremony. The work of Newfoundland members has been varied and impressive. They supported hospitals, seniors’ homes, and food banks with supplies and time. They have given books for literacy programs, televisions for hospitals, knitted goods for northern children, equipment for Girl Guide summer camps and three years in a row, they gave wheel chairs to the Red Cross. Chapters have sponsored mathematics and art contests, awarded bursaries and scholarships to talented students at the high school and college levels, worked with adopted classes in outports, celebrated with new Canadians at citizenship courts and with worthy members of the Newfoundland Constabulary and firefighters by giving IODE Community Relations Awards. Although the Provincial Chapter of Newfoundland disbanded in November 2001, three primary chapters continue to serve the needs of the communities.